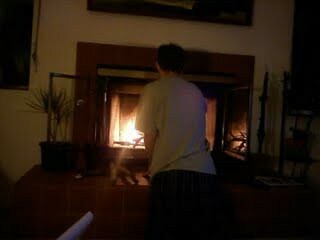 Steve's first attempt at making a fire in our fireplace. Success!! !